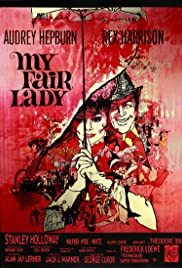 Why isn't My Fair Lady available for purchase online? Could the bath scene be considered sexual assault? Who's seen it on the big screen? Why Julie Andrews wasn't used? Did You See Julie Andrews on Stage? How on EARTH was Audrey not nominated for Oscar?? Why was Eliza crying so much about having to take a bath? Who should play Higgins in the remake? ?